Welcome to Navarre! 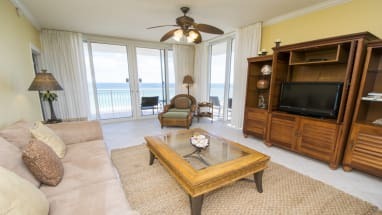 Emerald Coast by Owner is proud to offer you a wide selection of beautiful vacation rental properties in Navarre, Florida! 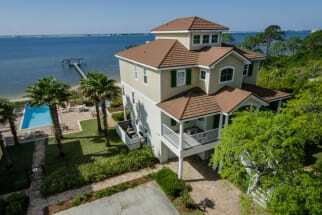 We offer you a lovely variety of these elegant vacation homes. Navarre is a great location compared to the beach and all the fun attractions the area has to offer! There’s no such thing as a bad time when you’re staying here! Enjoy the comfort of your own vacation rental, the outstanding area surrounding you, sweet smell of the Florida air and so much more! When it comes to having fun down here, you’re in the right place! There’s so much to do around here such as the Navarre Beach Marine Park, Navarre Beach Pier, parasailing, deep sea fishing, paddle boarding, golfing, jet ski rentals, boat tours, diving charters, helicopter tours and so much more! If you plan on shopping while you’re here, no worries! You should definitely check out Navarre Square, Santa Rosa Mall and Paradise Shoppes of Navarre! They’ve got just about everything you could want or need! Navarre Florida is waiting for you and your next Florida vacation rental! When you book with Emerald Coast by Owner, we make it easy for you to choose where, when, and what you want to do on your trip. ECBYO does not have any booking fees that other large listing sites charge! Contact the property owners directly with any questions!